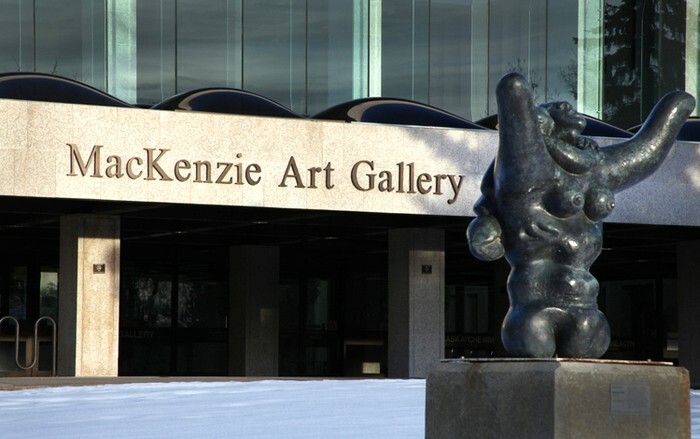 On August 30th the MacKenzie Art Gallery announced two major gifts -- the first, a $25 million gift from an anonymous donor, is the largest such donation in the Gallery’s history. By creating a new endowment for the Gallery, this gift will annually provide, on average, 25% of the Gallery’s current annual operating budget. A second, six-figure gift, from local collector and philanthropist Lyn Goldman, will be split between the MacKenzie’s acquisitions fund and its ongoing programming and organizational needs. These two gifts will support the museum’s capacity to develop and present creative exhibitions and programs, and to better engage 21st century audiences. “These gifts are truly transformational for the MacKenzie Art Gallery, strengthening our investment in the Gallery’s many new initiatives”, said Anthony Kiendl, the museum’s Executive Director and CEO. The anonymous $25 million donation has been endowed through the South Saskatchewan Community Foundation (SSCF), which will manage the funds and disburse the earned income to the MacKenzie Art Gallery annually. The donor, while wishing to remain anonymous, is committed to ensuring future growth opportunities for the Gallery. Recognizing that raising funds for operating endowments is often an institution’s most difficult challenge, this gift helps to address the museum’s core needs. A long-time supporter of the MacKenzie, Lyn Goldman credits her mother with instilling a responsibility to champion public arts institutions. Her gift is made in memory of her brother, the late artist Tony Thorn. Born in Regina in 1927, Thorn received a Bachelor of Arts from the University of Saskatchewan in 1947 and began to paint the following year. His paintings and carved works have been exhibited across Canada and internationally in solo and group shows. Learn more at the Mackenzie Art Gallery website.